The main goal of this Work Package is to strengthen external communication during the execution of the PEARLS project and optimal dissemination of the results. 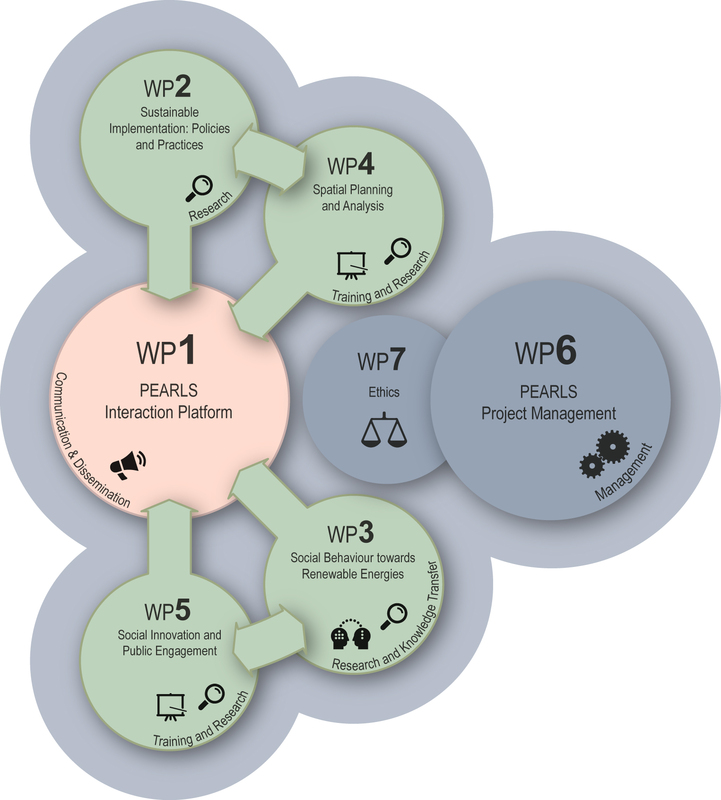 A task shared with WP 1 PROJECT MANAGEMENT is the application and development of virtual project communication and dissemination instruments via a website. The website will help partial PEARLS results to be optimally positioned in a range of formats (documents, articles, news, media statements, interviews, videos, etc.). Secondly, mechanisms will be developed to guarantee external communication of results via the Canal con Ciencia video channel, in which UNIT and US have expertise. Social networks (Twitter, Facebook, Pinterest) will enable return mechanisms with the media and the public in general. Lastly, this WP ends with the organisation of an International Multisectoral Plenary Forum in a non EU Mediterranean country. This platform will produce a Leading Platform being set up on REL. 01. To communicate the Project, its mission, progress and results, by including strategic and effective communication activities, such as the Project website, press releases, written in media of different types, oral communications and interactive social media. 02. To disseminate Project results to the scientific and R&I community through publications, conferences, technological outputs and EC-H2020 channels. 03. To share expertise arising from research results with potential users from an international and multi-sectorial audience by providing targeted information to multiple audiences via two-way Exchange channels. Establishment of Project website, data sharing platform and regular website updates to provide key information on the project and contact information for all partners. Implementation of a video channel to disseminate declarations and PEARLS Project fieldwork and case studies. The public section of the Project website will be implemented for communication to the public through social media. In relation to WP2 and 3, preparation of brief online follow-up questionnaires (F-Up Q) to interrogate an international multisectoral panel of experts about PEARLS progress with the aim of providing information cuts to the media and to disseminate results to a broad multidisciplinary scientific audience. Together with WP6, a strategy framework will be established for the treatment of IP generated in the Project. Projects results will be periodically reviewed for quality assurance by the Steering Committee. Development of Social Media and Digital Marketing Strategies to post online preliminary findings provided by WP2 to WP5 on specialised scientific production search engines following IPR and quality assurance rules.